Crystalline Mirror Solutions (CMS) - a spin-off from the University of Vienna - has developed a way to improve the precision of photonic measurement in highly sensitive systems such as gravitational-wave detectors. The results of its collaboration with Louisiana State University, the Massachusetts Institute of Technology (MIT), and the University of Vienna were published online on March 25, 2019 in Nature. Quantum mechanics places a fundamental limit on the precision of measurements. This is directly related to Heisenberg's uncertainty principle, which states that specific pairs of observables cannot be known simultaneously with arbitrary precision. Consequently, many practical measurement schemes create noisy back action on the object that they measure, noise that increases when one tries to measure a given conjugate variable more precisely. In the near future, this fundamental noise process will become a limiting factor in the operation of interferometric gravitational-wave detectors such as Advanced LIGO, VIRGO, and KAGRA. Soon, higher laser powers will be employed in these systems to reduce the position uncertainty created by detector shot noise (increases in the photon number arriving on the detectors reduces their limiting measurement noise). However, this enhanced detection sensitivity will come at the expense of back action on the suspended mirrors arising from quantum radiation pressure noise or QRPN. QRPN arises from the random ‘kicking' of the suspended mirrors via radiation pressure. In this process, momentum transfer from the reflection of randomly arriving photons induces unwanted motion of the mirrors, limiting the precision to which their position can be determined. It means that detectors such as Advanced LIGO will be limited by QRPN at frequencies between 10 Hz and 100 Hz. There are various ideas for mitigating QRPN, but, until now, no platform has existed to allow for experimental tests of these concepts. Reporting on progress in this direction in Nature, CMs has developed novel low-loss single-crystal microresonators that make it possible to build an optical interferometer in which the ultimate sensitivity of the system is limited by QRPN. Researchers from Thomas Corbitt's group at Louisiana State University constructed a centimetre-scale optical cavity consisting of a macroscopic (0.5 inch diameter) back mirror and a micrometer-scale crystalline input mirror based on a GaAs/AlGaAs Bragg mirror suspended by a 220- nm thick × 8-μm wide × 55-μm long GaAs cantilever. The magnified photograph above shows the semiconductor chip containing arrays of crystalline coated micro-cantilevers used to create an experimental apparatus for measuring the quantum radiation pressure noise. Here, the low optical and mechanical losses of the monocrystalline material structure enabled the Brownian noise, or unavoidable thermomechanical fluctuations, of the mirror and cantilever to be minimised. Typically, this noise source masks the subtle effects of quantum optical noise, particularly at room temperature. With careful minimisation of extrinsic noise sources, including laser intensity noise among others, the team from LSU and MIT were able to realise an optical cavity that was limited over a broad frequency band in the audio range by QRPN. The graph (above) of five measurements at circulating powers of 10 mW, 73 mW, 110 mW, 150 mW and 220 mW shows how each of the noise sources scales with cavity circulating power. Each noise source is integrated between 21 kHz and 22 kHz. Error bars on the measured data represent statistical uncertainty (s.d.). The dashed black curve is the expected total noise without including the contribution from QRPN. The shaded grey region around the black curve represents the uncertainty in the total displacement noise due to uncertainty in the level of QRPN from the model. CMS says that this latest achievement shows the capability of its ‘semiconductor supermirrors' to redefine the performance metrics of precision optical interferometry, advancing the field of optical metrology and paving the way for improved experimental systems capable of exploring the ultimate limits of measurement sensitivity for fundamental scientific studies. Future efforts with this quantum-limited cavity will involve further reductions in the limiting noise through the implementation of quantum-enhanced states of light (e.g., squeezed light injection), back-action evading measurement schemes such as variational readout, and, conversely, the generation of light with reduced fluctuations from the cavity itself via pondermotive squeezing. CMS was co-founded in 2013 as a spin-off of fundamental physics research from the University of Vienna and the Vienna Centre for Quantum Science and Technology by Garrett Cole and Markus Aspelmeyer. CMS was originally established in Vienna, Austria and has since expanded to include sites in Santa Barbara, California and Klosterneuburg, Austria. 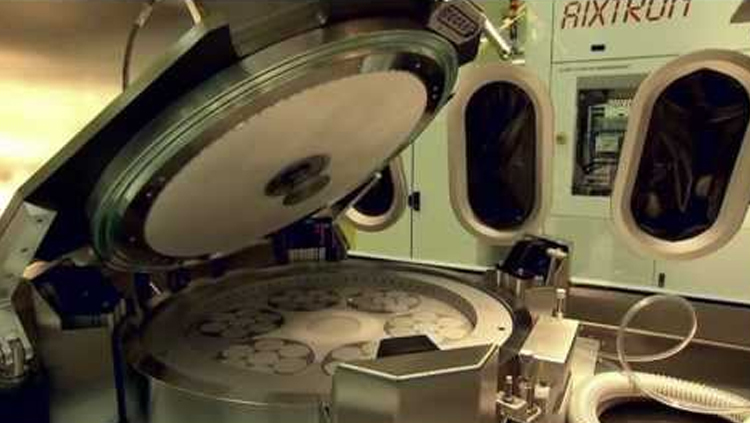 Semiconductor supermirrors are a proprietary technology pioneered by CMS and protected by international patents. The application space of this novel mirror technology spans optical components for ultraprecise optical clocks, precision interferometry, spectroscopy, as well as solutions for thermal management in high-power lasers and laser machining systems.